[Contest] McDo Love Desserts Giveaway - Hello! Welcome to my blog! Valentine's Day may be over but that doesn't mean the Love month's surprises from McDonald’s are stopping! Two lucky winners will get to invite 5 other people each to a fun triple date at a McDonald's store of their choice, and will be served 2 sets of the BFF Bundle for 3 and 2 of each of the new Love Desserts — Strawberry Kiss Oreo Sundae, Red Velvet McFloat, and Choc Nut McDip — all for free! Just follow the simple steps below. 1. Post your photo on Instagram enjoying any of the new Love Desserts from McDonald's (Strawberry Kiss Oreo Sundae, Red Velvet McFloat, Choc Nut McDip). Entries posted on other social networking sites such as Facebook and Twitter will not be counted. 2. In your caption, tell us who you will bring to the triple date should you win the contest and why you chose them. Are they your couple friends? Barkada? Family? Be as heartfelt and creative as you can! 3. 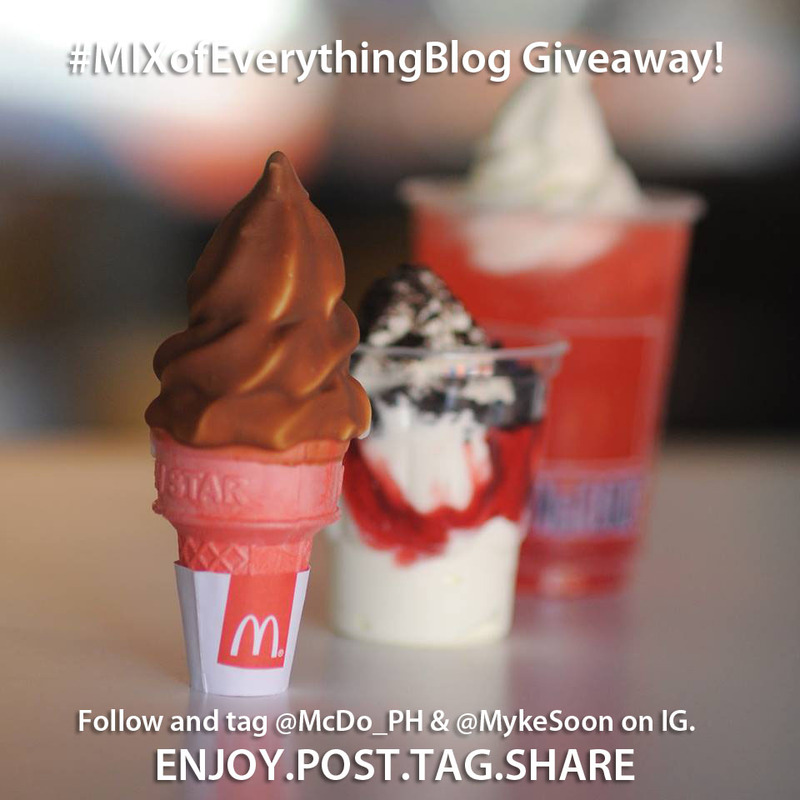 Follow and tag @McDo_PH and @MykeSoon on Instagram. 4. Use the hashtag #McDoLoveDesserts & #mixofeverythingblog in your caption. 5. The contest will run from February 15 to 20. Claiming of the triple dates will be from February 24 to March 6 only. Note: Prize is subject to change should winners be based outside of Metro Manila.